Observing the reactions to the newly released BioShock sequel has been very interesting, particularly because they have been so mixed. 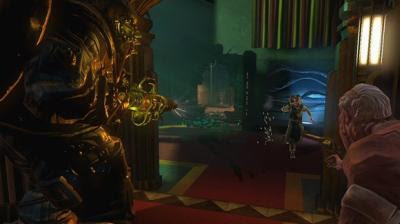 Generally speaking, BioShock 2's reception has been positive: the game has received an average review score of around 88% (360 version) on aggregate sites and most people seem to recognise it as a competent shooter that has justified its existence as a sequel to a game that most thought didn't need one. But, despite that general perception, further investigation reveals a whole host of different thoughts, both positive and negative, that have been really intriguing. My regular readers may recall that I had anticipated disappointment in the reactions to BioShock 2, and, I think I can fairly say that in some respects, I was right in that assumption. While most can agree that for what it is, it's a successful installment, there are still quite a lot of people out there who have expressed their disappointment, expecting BioShock 2 to be a lot more than what it actually is. Some wanted it to render the original game irrelevant -- in a similar way to how Uncharted 2: Among Thieves and Assassin's Creed II did to their respective predecessors -- while others wanted it to be a remarkably different game that isn't so familiar to the first. Since BioShock 2 doesn't achieve the former and is absolutely similar to the original game in terms of gameplay, mood and atmosphere, and indeed graphically, it's understandable that these people are disappointed that it didn't meet their own expectations. In my opinion, I believe these expectations were perhaps a bit too unrealistic and, as that older post of mine suggests, these people are now disappointed with a product that could never have met such lofty expectations -- but whether this is the case or not is, of course, subjective and only relevant to the individuals concerned. Personally, on the other hand, BioShock 2 has met my expectations so far, perhaps because I chose my expectations carefully and kept them in line with what I believed a sequel could accomplish. As I mentioned in my brief look, I wanted BioShock 2 to maintain the atmosphere and personality of the first game, continue the story of both Rapture and its deranged inhabitants and, of course, give me the opportunity to return to a city and setting that leaves me in absolute awe. So far it has achieved all of this and more, and when combined with the gameplay improvements and other refinements BioShock 2 delivers, I'm left with a positive impression of the game that motivates me to continue playing and makes me eager to see what will happen next. This difference between my expectations and the arguably unrealistic ones of others doesn't really mean anything in the grand scheme of things, but is something that has been interesting to consider as I observe how others react to the game and compare those reactions to my own. To be clear for a second; as an opposing argument to my comparison it could easily be said that I have a bias towards the original BioShock, if not the franchise* -- I mean, this blog's name was influenced by it -- and as such, anything I suggest about the reactions people are having could be as a result of clouded judgment, but with or without that potential bias I still believe that the response people have had has been interesting and worth observing. The last thing that I have found intriguing is this article on Kotaku, pondering whether Rapture as a city and game space that players get to experiment within can hold up a third time in BioShock 3, if not future installments altogether. The article questions whether it can, as well as contemplates the location and setting any further sequels should have if it can't by allowing the site's readers to weigh in with their say. My instant reaction to that article is one of astonishment, but further consideration of the topic yields a similar response. As far as I am concerned, Rapture is BioShock and to have further games set elsewhere would be like setting a Mario game on the USG Ishimura (of Dead Space fame). You just don't separate certain elements or features from each other, and while I have no doubt that a BioShock game set elsewhere would be interesting, it just wouldn't be the same as one set in Rapture. The beauty of Rapture is that, as a city, it has a lot of potential to continually offer new areas that we haven't seen before, not to mention the characters and motivations that drive those places -- BioShock 2 is a wonderful example of how the perception of Rapture can be altered and continued in new and interesting ways, and I don't see any reason why that should (or would) change if another installment were to be created. Sure, after a while it might get a little difficult to maintain the consistency and flow of the narrative across each game, but if done right, as BioShock 2 has certainly been in the levels I've played so far, then there is no reason for Rapture to be replaced by another location. If, and perhaps when, Rapture loses its appeal and cannot be explored further, then, in my opinion, BioShock as a franchise should not be explored further either. When that times comes -- and let's face it, one day it probably will -- then the series should be left alone as a hopefully wonderful memory and a significant part of gaming history whilst a new franchise is created, hopefully as remarkable and compelling as the original BioShock was. I guess what I am saying is that some things are best left where they are, and when we have seen all there is to see with such an amazing and arguably important franchise, then developers and, more importantly, gamers need to know when it's time to move on. If, instead, the BioShock franchise continues elsewhere as a reaction to some people's disdain with the familiarity, then the resulting perdition that will stem from that is surely much worse than anything we could ever see among Rapture's destruction. 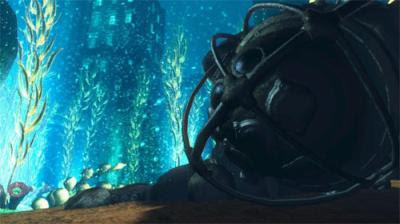 How would that be for the swan song of BioShock's insanity? *I would actually suggest my fanboyism is directed at Rapture, rather than the game/series as a whole. Great post, it's fascinating reading your take on the Bioshock franchise. "Some wanted it to render the original game irrelevant -- in a similar way to how Uncharted 2: Among Thieves and Assassin's Creed II did to their respective predecessors"
Having never played the original Uncharted I cannot comment, however I would have argued that Assassins Creed 2 does not render part 1 irrelevant, but instead elaborates on, and enriches it's narrative. I am curious as to why you feel these sequels have made the originals insignificant. And in what ways Bioshock 2 could have done the same to its predecessor. I'm one of the ones that wanted it to invalidate the first game. I think I posted this on the brainy gamer, but BioShock 2 could have been released in 2008 six months after the first game and it would not have been anything special. It is 2010 now. Our understanding of the craft and art of games is advancing faster than what has been demonstrated in BioShock 2. It's an expansion pack that is two years out of date. That doesn't mean it's BAD--I still enjoy games from 2007 and earlier of course--but it is a disappointment. Put me in the "Happy enough just to return to Rapture" camp - the mechanical improvements and varied pacing work for me, and since I haven't played the first game since 2007, enough time had passed that it was nice to have my memories pinged. But yeah, from a gameplay standpoint, the sequel doesn't set the world on fire or anything. That's okay with me - the first one didn't, either, not really. There weren't any truly new gameplay mechanics, and even at the time its gameworld and narrative felt far more impressive than the combat. I quickly got bored with the gunplay and mastered a couple of easy ways to take out splicers (TK was a big one, if I recall, so much so that it's a bit nerfed in the sequel) - my goal was entirely to see more of the world and story. And I agree re: Rapture pretty much being Bioshock. Perhaps moreso than any game setting before. But if they do make Bioshock 3, they should set it in a derelict space station and pit you against the ship's psychotic AI. And circle could finally come to a close. Heh. Matthew -- To be clear, I don't think either game renders their predecessor irrelevant personally, I was rather speaking within the context of how I have perceived the general reaction to those games after their release. Perhaps a lot of it is hyperbole and as such, I've misinterpreted it, but it seems to me that with the release of those two sequels no one cares anymore about the previous games. Well maybe they care, but they have no reason to ever go back to those games because what their sequels deliver is the 'superior' experience. In my opinion, I agree that the two sequels are better than their predecessors but I still believe those games are excellent as well. I guess it depends on what aspect of the games you're talking about: if its from a gameplay point of view then the refinements and improvements made do render the original games' gameplay irrelevant, but as far as story, characters or world-building is concerned, the original games still have their defining features which make them worth considering. I hope I have now explained what I meant but if not, let me know. Michel -- Interesting. May I ask, is there any particular aspect of the game that defines your perspective? Is this purely from a mechanic or dynamic point of view, or something else? Perhaps everything? I won't disagree that there are some things about BioShock 2 that seem off, such as the textures of some of the water in the game, as just one simple example. Compared to what games are out there now, these little things don't go unnoticed, but I still find that the new areas of Rapture and the new story/characters keep me interested and make it easy to forget flaws like that. So yeah, if you'd like to elaborate than please do so I can better understand where you are coming from. Kirk -- Your opinion is pretty much a carbon-copy of my own, so I don't really have a response to that. I do have to wonder if there will be another System Shock installment, though -- not that I've played any games in that series... yet. Thanks guys for dropping by with your thoughts. It's appreciated.